We are seeing a generation of children and teens with excessively high levels of stress, and, as a result, an explosion of health problems in young people today. But few parents recognise the 'hidden stressors' that their children are struggling with. 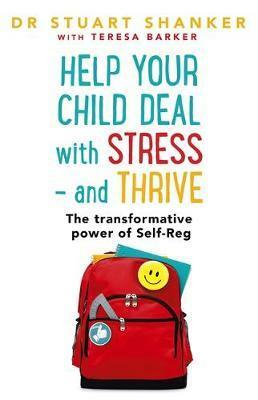 This book, previously published as Self-Reg, will give you the tools to help you recognise stress and understand your child's behaviour, and teach your stressed, emotional child to identify their 'big' emotions and get back on an even keel by themselves. Stress can affect your child in many ways - whether it's exam pressure, pressure exerted by friends online or in the playground, or related to health, with lack of sleep and anxiety at home contributing. Help Your Child Deal With Stress - and Thrive is a ground-breaking parenting book, in which Dr Stuart Shanker argues that by teaching children the art of self-regulation, it can transform their behaviour and help them to identify, talk about and manage their emotions. This leads to a harmonious home, and children who feel nurtured and supported. Mastering the art of self-regulation can help children learn to deal with experiences, overcome frustration, pay better attention, engage better with others and enhance their learning capabilities. In turn, children will develop the confidence, along with the skills and emotional strength needed to navigate the pressures and stresses of the modern world.